A collection of Cheap Workstations and computer desks for the home office or small office. Designed using the current trends in colours and materials, these low-cost home office workstations are perfect to suit a range of tastes and home office decor. From minimalist glass and chrome desks to oak and beech computer desks, all designed to be both compact and functional. 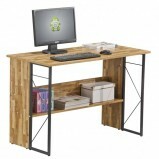 If you are looking a cheap home computer desk that still has the build quality that will ensure it stands the test of time then look no further. Most of the chairs featured with these desks are also available on this site under our chairs for home section. 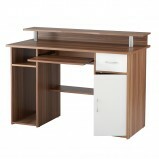 Contact Us for more information on our range of Low Cost Home Office Workstations. Albany Computer Workstation A stylish home office computer work centre, complete with white stationery drawer, white storage cupboard, CPU storage, keyboard and printer shelf. Raised monitor shelf for eye level viewing. 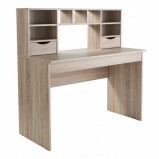 Features..
Albion Oak Home Office Desk With a lot of storage on a small floorspace the Albion is as functional as it is attractive, featuring 2 drawers and copious storage areas. 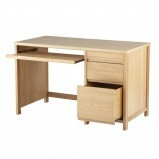 The sturdy build of the Albion is further improved with the addition..
Arizona Oak Home Office Desk Simple, sturdy and stylish, the Arizona workdesk is ideal for smaller areas, offering huge amounts of storage on a small frame. The beautiful light oak finish features large desk, printer shelf, and raised st..
Aspen Oak Home Office Desk With a beautiful light oak finish complemented with a striking white, the Aspen is a stunning and practical desk. 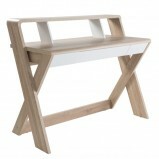 The trestle style frame offers good storage and features a central drawer. Fea..
Augusta Glass Corner Workcentre A modern and stylish computer desk with 10mm glass top and white steel frame, 3 drawers and ample storage space. Features Stylish 10mm Glass Top White Steel Frame 3 Drawers Storage Space ..
Cleveland 3 White Glass Computer Workstation A stylish desk finished with a 8mm toughened frosted white, curved glass top. Featuring an integral pedestal finished in white PVC, which contains 2 stationery drawers and 1 filing drawer. 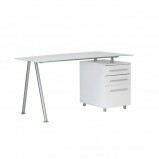 The..
Cleveland 4 Grey Glass Workstation Modern, smoked glass top on a grey frame, complete with complimenting pedestal in a beautiful white painted finish, the Cleveland 4 desk is sure to attract attention. The toughened glass has been cut in.. Contemporary Bureau Workstation Home office sideboard/desk with ash effect with optional (reversible) peacock blue details. This retro style desk provides ample space for writing and laptop work. . FeaturesLarge pull out keyboard.. Crystal Glass and Chrome Frame Workstation With an high chromel frame design complete with stunning glass tops, the Crystal is a beautiful but secure workstation perfect for smaller environments. Practicality is key it comes with a&..
Hastings Computer Workstation A stylish home office computer work centre finished in a walnut effect. Features a white storage cupboard and white stationery drawer to make it ideal for your home office Features Walnut effect hom..
Hunter Oak Veneered Home Office Desk Inspired from traditional furniture designs and with a wealth of features, the Hunter is a beautifully crafted workstation finished in a White Oak Veneer. 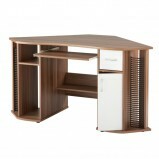 It boasts 2 stationery drawers, a large..
Lyndon Computer Corner Workstation A stylish home office corner computer work centre finished in a French Walnut effect. Features white stationery drawer and cupboard, CPU storage, CD/DVD storage, keyboard shelf and a printer shelf. 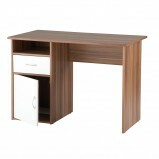 ..
Rhodes Walnut Home Office Desk The Rhodes desk is a beautiful yet simple desk with a large work surface. The walnut effect finish is perfectly complemented by the stylish grey steel frame. A large yet discreet shelf underneath offers a s..
Seattle Oak Home Office Desk Attractive, strong and practical, the Seattle has it all! 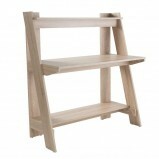 It is made from a beautiful light oak finish and perfectly complemented by the gloss white steel frame. The inbuilt pedestal features 3 large drawer..
Shaker Style Workstation The beautifully finished Shaker Style desk offers a stylish new world look for the home office or study. FeaturesShaker style home office desk Soft white finish with lintel oak accent desktop&..
We have over 40 years experience designing and fitting out office interiors, from single rooms to multi-storey office buildings.